Universal PicturesRyan Gosling stars as 38-year-old Neil Armstrong, the first man on the moon. 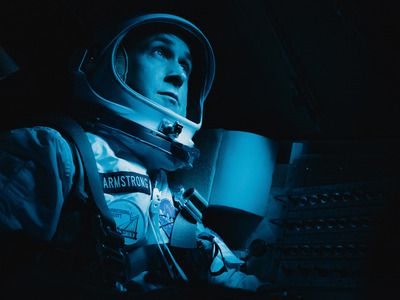 In the movie “First Man,” actor Ryan Gosling plays a young Armstrong in the ambitious and sometimes tragic lead-up to his unlikely journey to the moon. 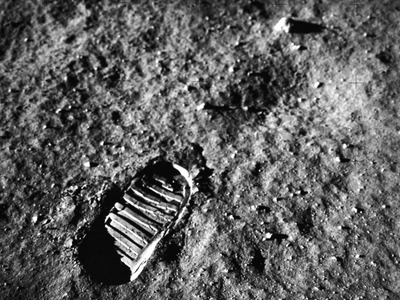 The film is based on the non-fiction book First Man, which was published by Armstrong’s official biographer James Hansen 13 years ago. 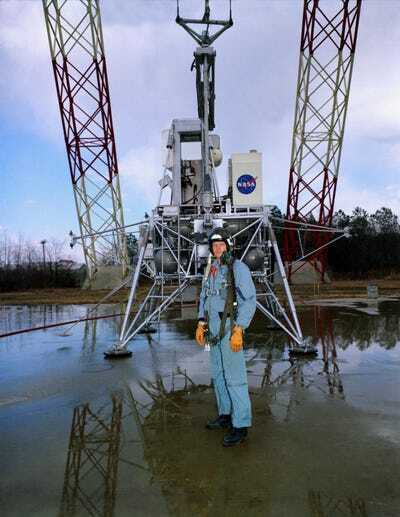 Nearly everything chronicled in the film is true (aside from the Hollywood makeup, perhaps), including Armstrong’s near-death experience training to fly the moon lander and the death of a good friend who was chosen for the first Apollo mission. 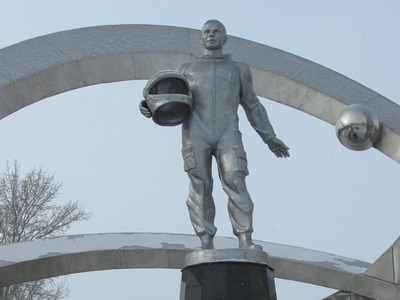 NASAA statue of Yuri Gagarin in Karaganda, Kazakhstan. Gagarin was the first person in space. 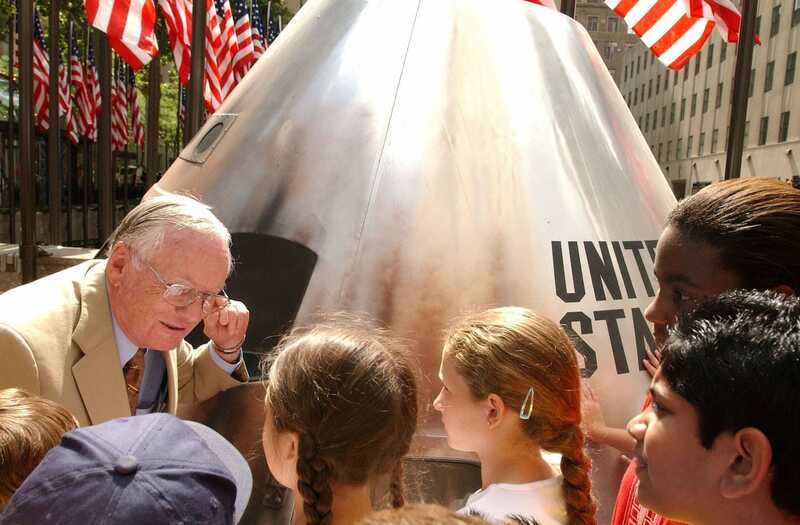 The Russians launched Sputnik, the first satellite, in 1957. Then they sent dogs Belka and Strelka into space in 1960, and hit the moon first with its Luna probes. The nation was also the first to put people in space: Yuri Gagarin in 1961 and Valentina Tereshkova in 1963. Alexei Lenov did the first spacewalk in 1965. NASANeil Armstrong served as a research pilot at the NACA-NASA High-Speed Flight Station in California before he entered the space program. 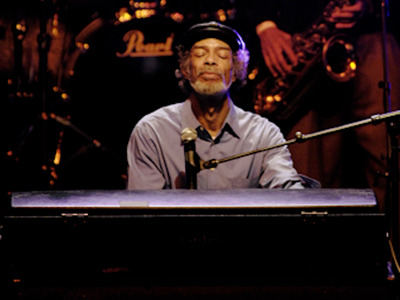 Adam Turner/Wikimedia CommonsGil Scott-Heron in 2009. NASAGemini 8 Command Pilot Neil Armstrong seen through window of the spacecraft just before liftoff on March 16, 1966. NASAGemini 8 Astronauts Neil Armstrong and David Scott at Cape Kennedy on March 16, 1966. The two managed to regain control of the spaceship by powering up thrusters on the nose of the capsule.They landed in the Pacific just shy of 11 hours after takeoff. 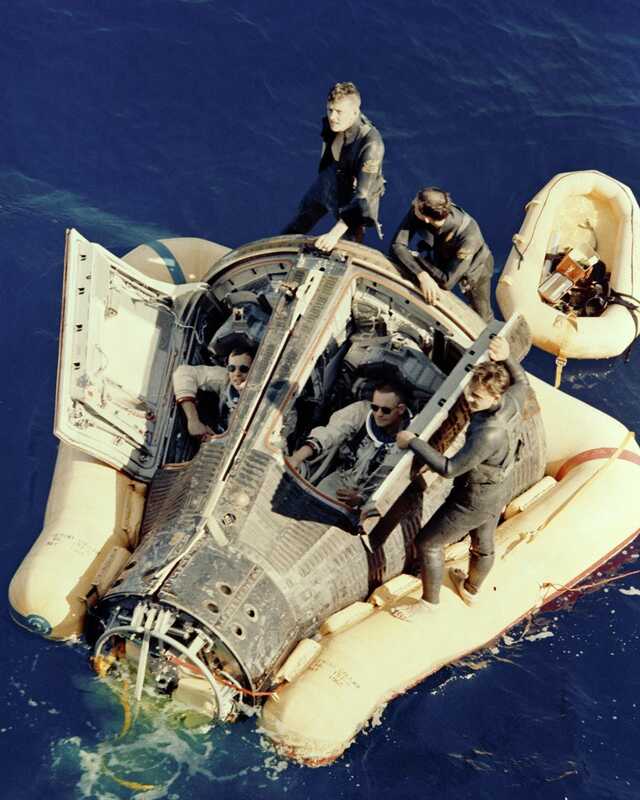 NASAAstronauts Neil Armstrong and David Scott in the Pacific after their Gemini 8 flight on March 16, 1966. 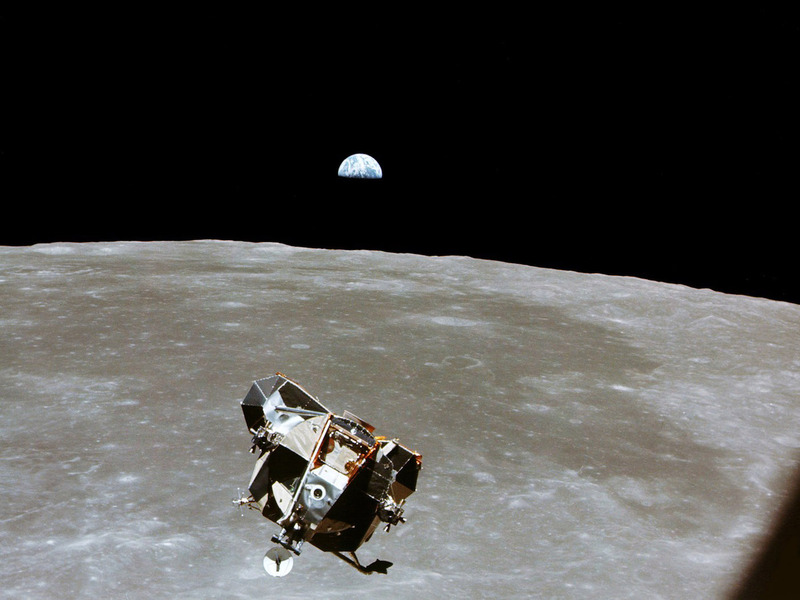 A year later, in 1967, the first Apollo mission ended in tragedy. 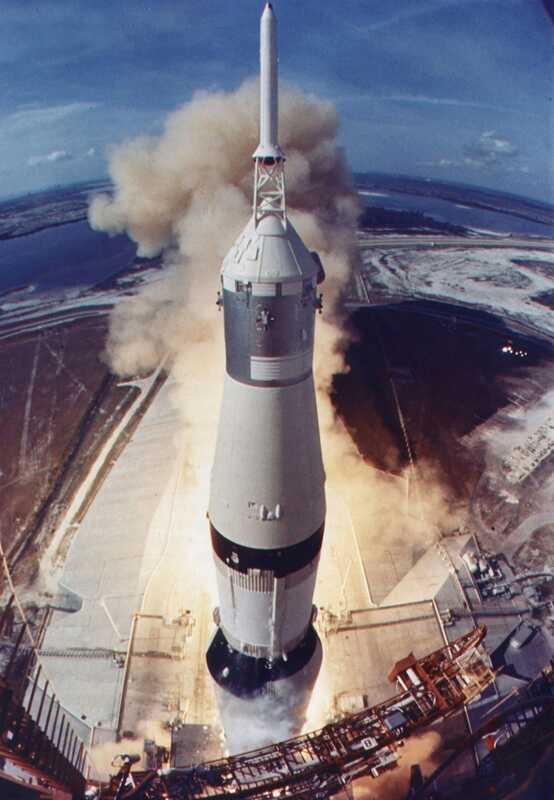 A fire erupted on the launch pad during a pre-launch test, killing all three astronauts in the rocket. 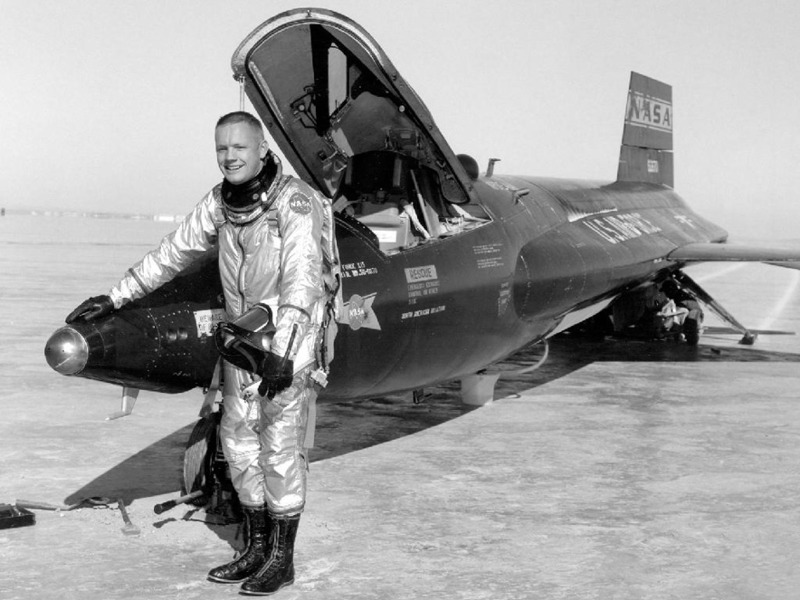 Ed White (center in the image below) was Armstrong’s neighbour. 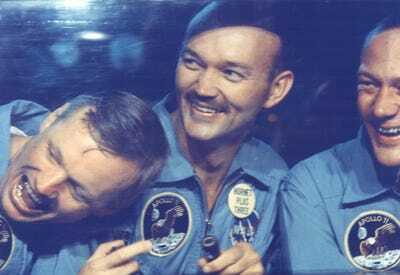 NASAFrom left, Apollo 1 astronauts Virgil I. 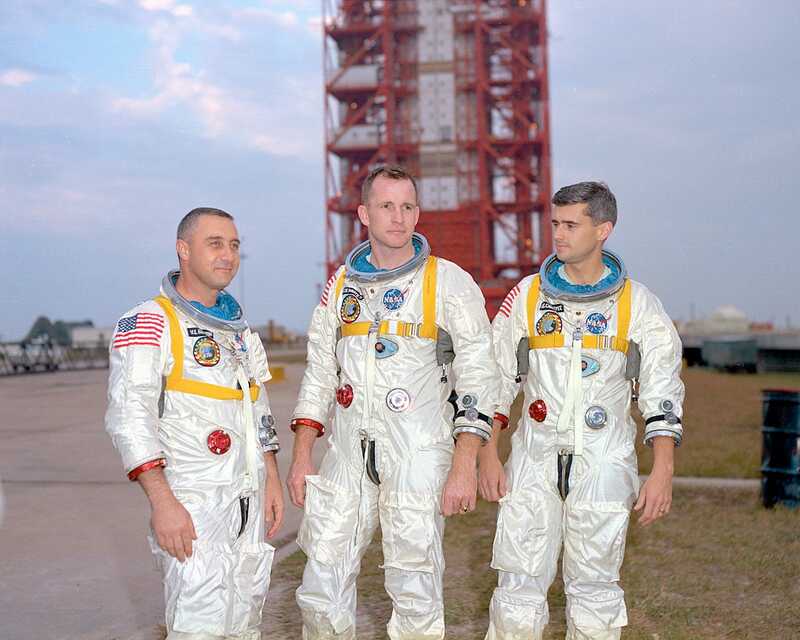 ‘Gus’ Grissom, Edward White, and Roger Chaffee pose in front of their Saturn 1 launch vehicle at the Kennedy Space Center. Armstrong had yet another near-fatal day just over a year before he went to the moon. 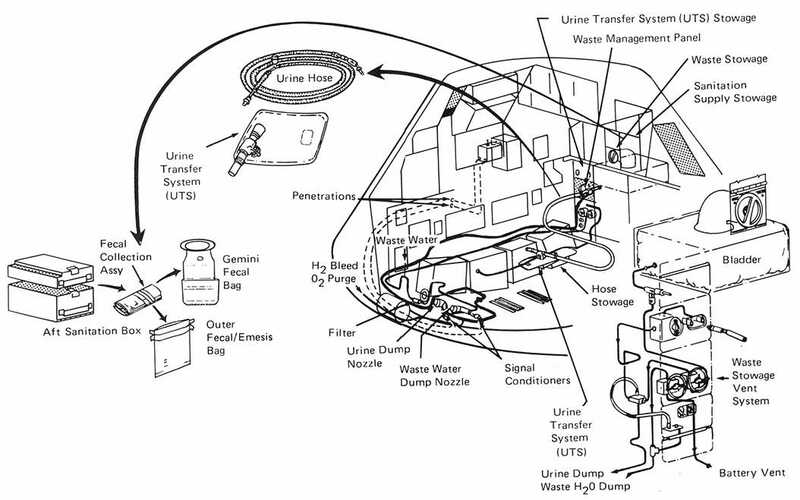 As he was flying a lunar lander in Houston, propellant started leaking out of the vehicle, rendering his controls useless. 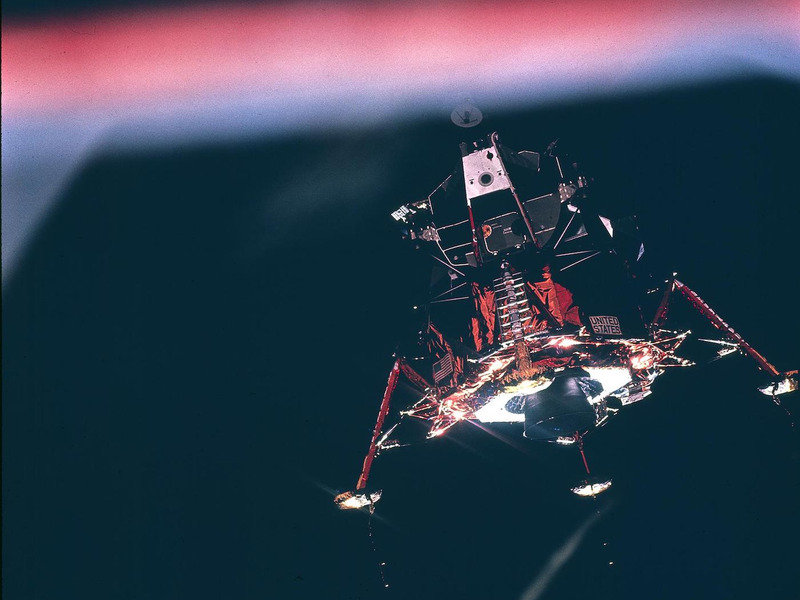 Armstrong had to quickly escape while 200 feet off the ground. NASANeil Armstrong with the Lunar Excursion Module in 1969. 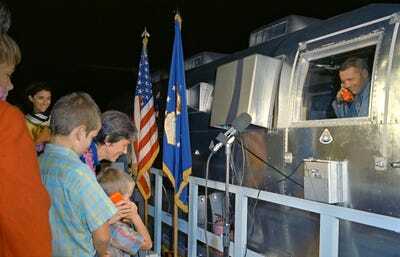 Luckily, NASA got the rickety machine spiffed up before Armstrong went to the moon. 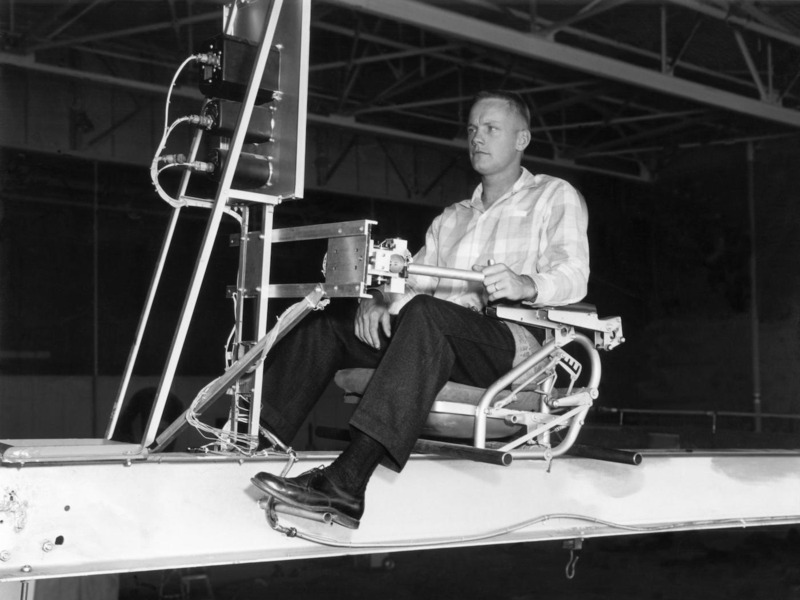 He successfully tried the machine again in June 1969, a month before blastoff. 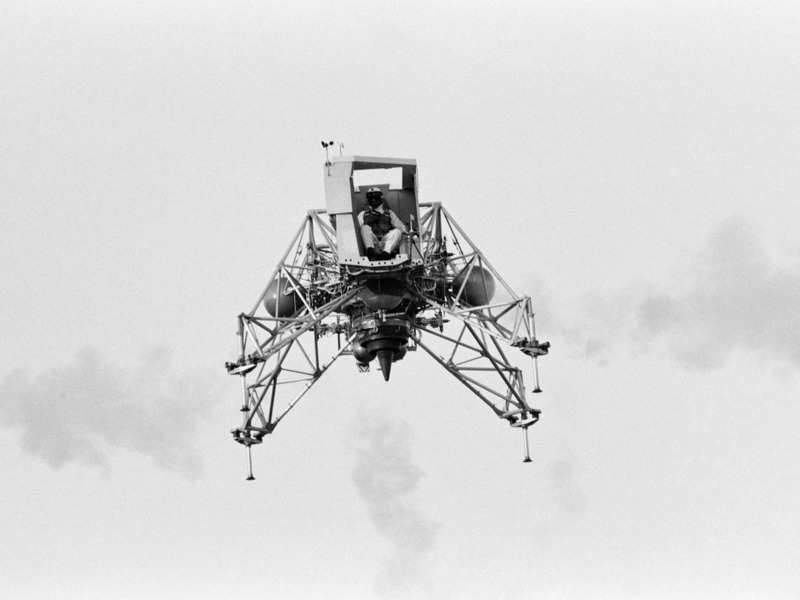 NASAIn-flight view of Astronaut Neil Armstrong flying the Lunar Landing Training Vehicle in Houston, Texas, 1969. 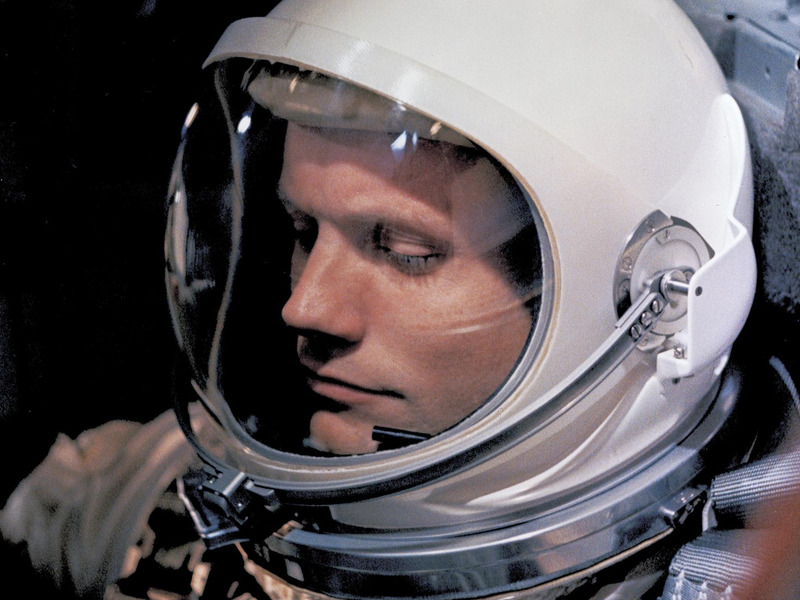 NASASuited astronaut Neil Armstrong participates in lunar surface simulation training on April 18, 1969. 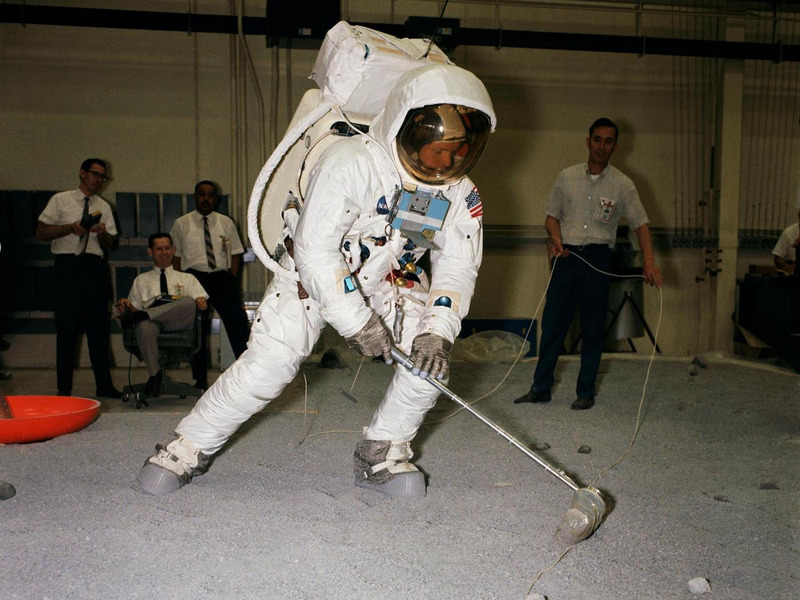 He’s practicing scooping up a lunar sample. 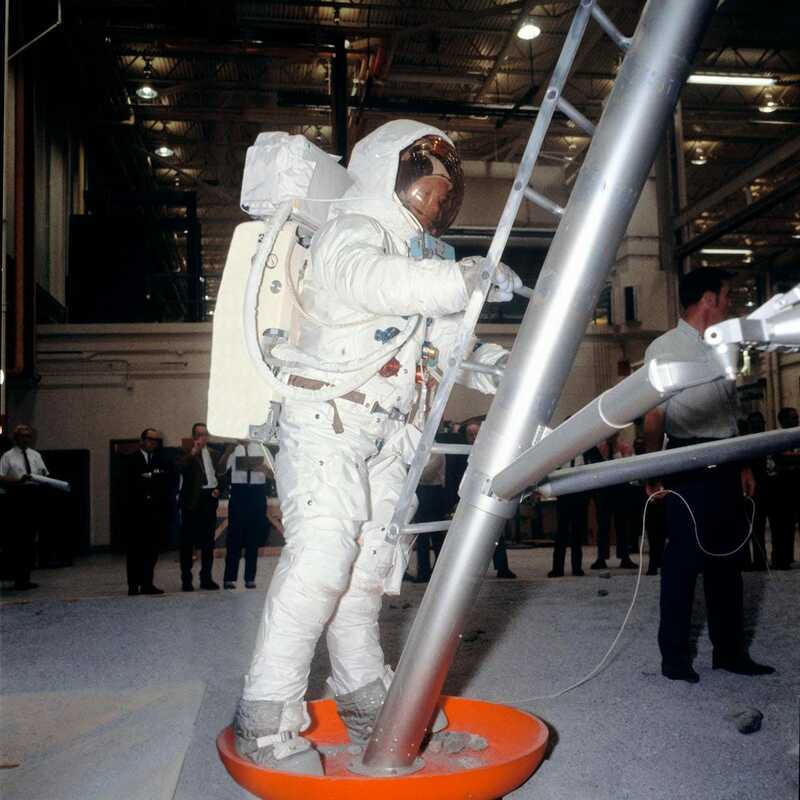 NASANeil Armstrong participates in lunar surface simulation training on April 18, 1969. NASAThe Apollo 11 Saturn V space vehicle lifts off from Kennedy Space Center’s Launch Complex in Florida on July 16, 1969. NASACarrying astronauts Neil Armstrong and Edwin Aldrin, Jr., the Lunar Module “Eagle” was the first crewed vehicle to land on the moon. 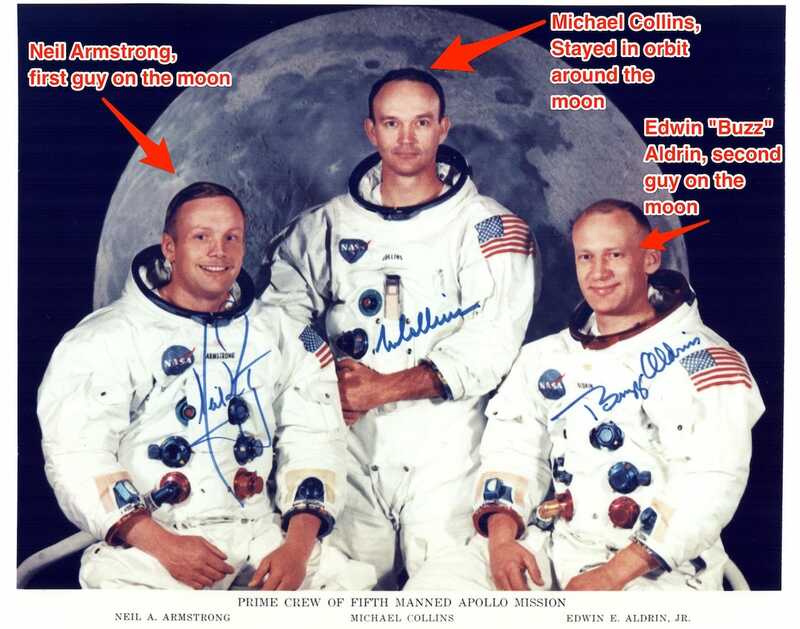 NASANeil Armstrong, Commander; Michael Collins, Command Module Pilot; and Edwin Aldrin Jr., Lunar Module Pilot. 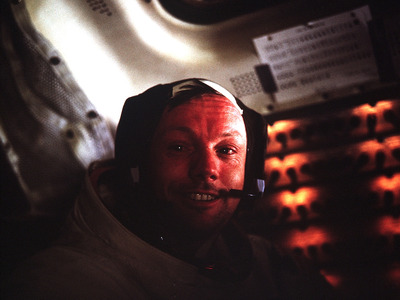 NASAThis photo of Neil Armstrong, Apollo 11 commander, was taken inside the Lunar Module while it rested on the moon’s surface. 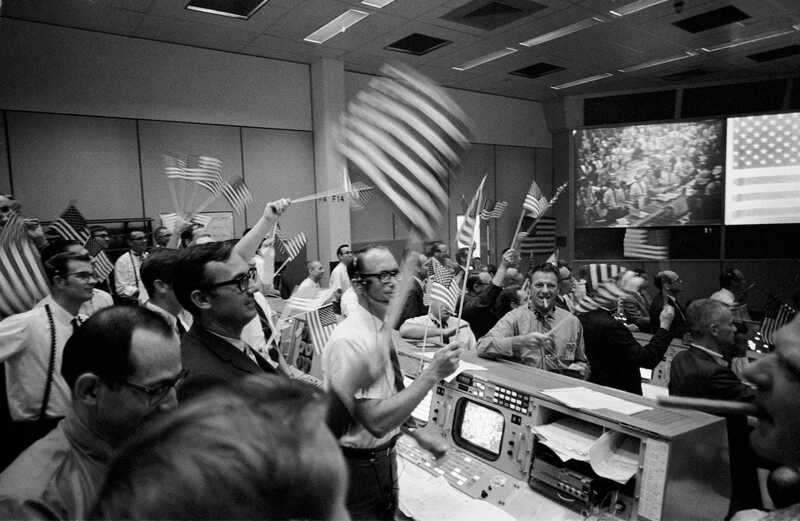 NASAFlight controllers later celebrated the successful conclusion of the Apollo 11 mission. 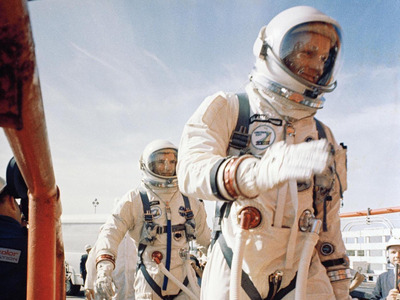 NASAAstronauts Neil Armstrong and Edwin ‘Buzz’ Aldrin Jr. fly back to the Apollo Command Module manned by Michael Collins. Once back on Earth, the astronauts didn’t get to reunite with their families right away. All three had to stay in quarantine for 21 days in case they’d brought home any lunar contagions. NASAThe Apollo 11 astronauts, left to right, Neil Armstrong, Michael Collins and Buzz Aldrin share jokes with well-wishers on the other side of the window of their Mobile Quarantine Facility aboard the USS Hornet. 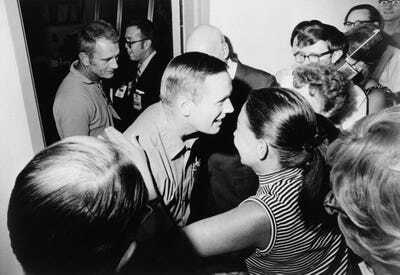 NASANeil Armstrong, commander of the Apollo 11 flight, greets his son Mark on July 27, 1969, while his wife Jan and another son Eric look on. 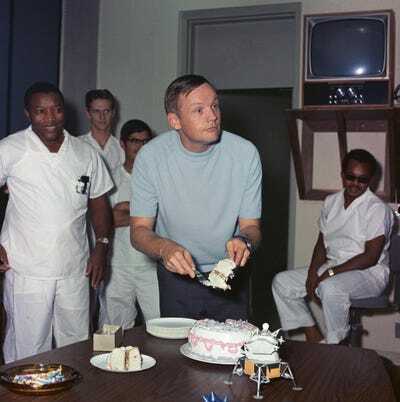 NASA18 people quarantined with Armstrong assembled and sang him happy birthday. NASANeil Armstrong (center), is greeted by friends in the crew reception area of the Lunar Receiving Laboratory. Stephen Chernin/Getty ImagesNeil Armstrong addresses the crowd during the kick-off celebration for the Centennial Of Flight exhibit at Rockefeller Center on July 29, 2003 in New York City.